Update: The Tea Party Patriots have offered a statement of thanks to Rep. Jim Jordan for his impeachment efforts. "John Koskinen needs to be held accountable," Rep. Jim Jordan (R-Ohio) said on Tuesday. 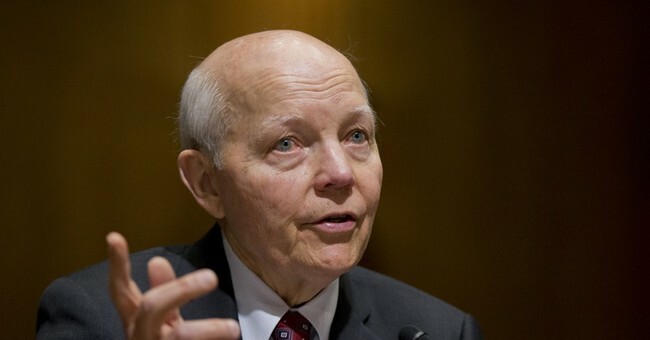 The representative has decided to introduce a resolution later today to impeach the IRS commissioner for his uncooperative role in the investigation into his agency's targeting of conservative groups. Jordan is joined by other conservative lawmakers wanting to oust Koskinen, yet Democrats and even some Republicans don't believe the commissioner's actions warrant impeachment. The IRS made life incredibly difficult for tea party groups seeking tax-exempt status a few years ago and faced little to no accountability for it. Officials like Lois Lerner resigned, yet she nor any other IRS leaders were faced with charges after a Justice Department probe. Things did not improve under Koskinen. Three years after he took over as commissioner in December 2013, he has failed to provide documents requested by Congress as they investigate the tea party scandal. Most egregiously, according to Jordan, is the fact that thousands of relevant emails were deleted on Koskinen's watch. “On his watch, 400 back-up tapes are destroyed,” Jordan told WND and Radio America. “He had the duty to preserve the documents with preservation orders put in place. He had a duty to produce them with two subpoenas asking for the documents." Jordan also argues that Koskinen repeatedly misled Congress in his testimonies before the House Judiciary Committee. Koskinen has made no indication he's going to retire before his term ends next November.